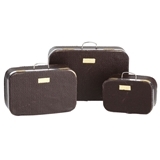 Whether you’re heading on a vacation or just returning from one, you’ll want our doll-sized travel accessories to help celebrate your journey. 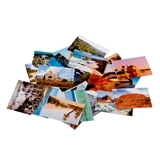 We have miniature dollhouse accessories to prepare you for a trip, and collections of travel photos that will bring back fond memories of Africa, Australia, Asia, Europe, and North and South America. Imagine your dream vacation, and decorate your dollhouse accordingly! You can have your own miniature tourist paradise contained in a dollhouse that’s smaller than your life-sized suitcase. 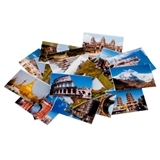 Our collections of travel photographs might make you nostalgic for places you’ve never visited. 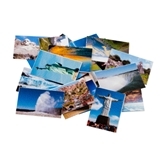 These bright and glossy photographs feature famous landmarks and scenic vistas from all over the world – perfect for hanging on the wall, using as filler for a miniature photo album, or decorating a dolls’ travel agency. What better way to get excited for an upcoming trip, or fondly remember a journey your dolls may have gone on? Get your suitcase, your camera, your itinerary, and your umbrella – and get ready for a fun-filled vacation! Our doll travel accessories are ready to get on the road.